KEDA Consulting have supported us with Project Management services on a replacement Linac project in Romford. They have been able to provide value for money and are able to bring a confident approach to managing a complex project with radiography machinery new to the UK. Smart Cancer Centres are a new and innovative UK based company that allow the NHS to access the most advanced radiotherapy treatment equipment without any capital outlay. 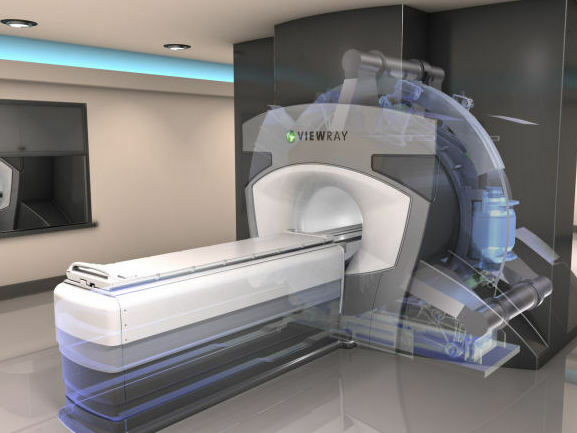 Based on a fully managed service offering, SCC will deliver all building works, installation, commissioning, training and ongoing support to allow rapid clinical integration of the latest MRI guided, Linear Accelerator the MRIdian system from ViewRay Inc. Adaptive, MRI guided radiotherapy is a disruptive technology enabling NHS patients to benefit from the most sophisticated treatments available and allows clinicians to deliver fewer high doses of radiation to increasingly smaller and more well defined tumours, tracking their position in real time. KEDA Consulting were asked to deliver a fully managed Project Management Office (PMO) service for the refurbishment and replacement of a Linac vault at the Queen’s Hospital in Romford. The services delivered included involvement at contracting and legal stages, co-ordination of subcontractors, preparation of a JCT, mobilisation and import of equipment from outside of the UK, record keeping and administration, meeting co-ordination and client side communication. The overall project value was in excess of £10M with a duration of 12 months.